I’ve been doing some more work on the magpies – here are some blossoms on a branch for them. 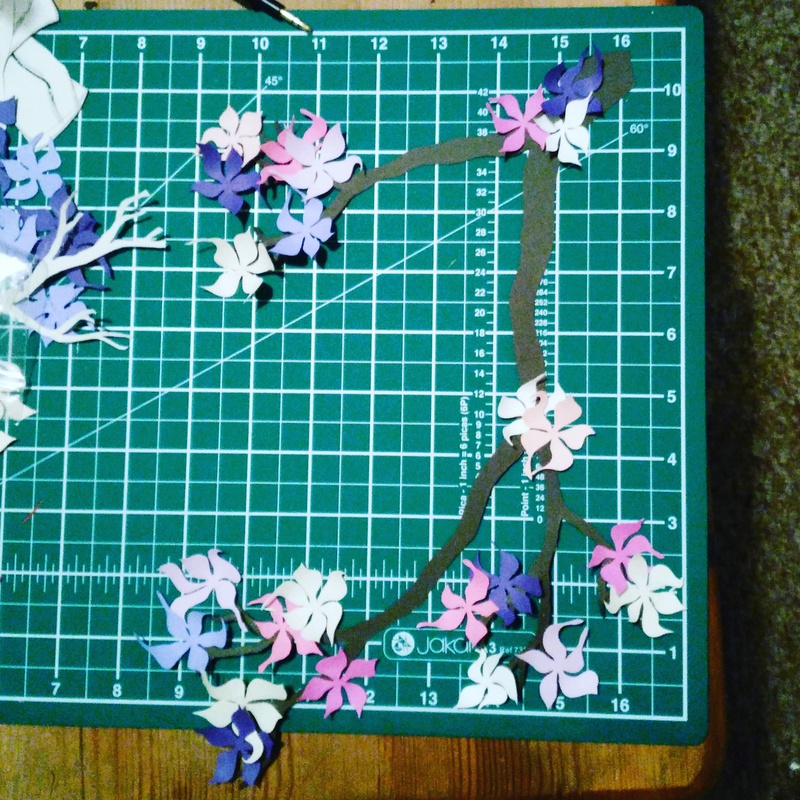 This entry was posted in Art, Craft, Paper and tagged blossoms, Paper, paper craft, paper cutting. Bookmark the permalink.